Here is a solution for the Beretta model 71's that have been imported with the fake suppressors that attach using 1/2-20 threads. 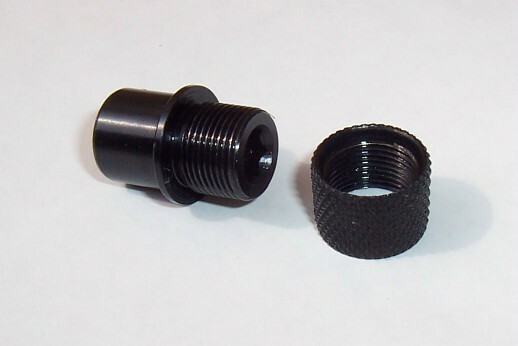 Once that atrocity has been removed, you are left with some ugly looking threads...these custom barrel thread protectors are the ticket to have a clean, tasteful look on your Beretta model 71! 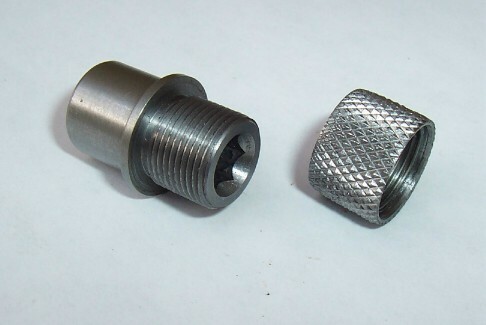 There are 2 thread protectors that come in the kit-one is a regular 1/2-20 thread protector, and the other one is machined oversize to fit threads that might not be in the best of shape. Hot blued steel, Made in the USA! 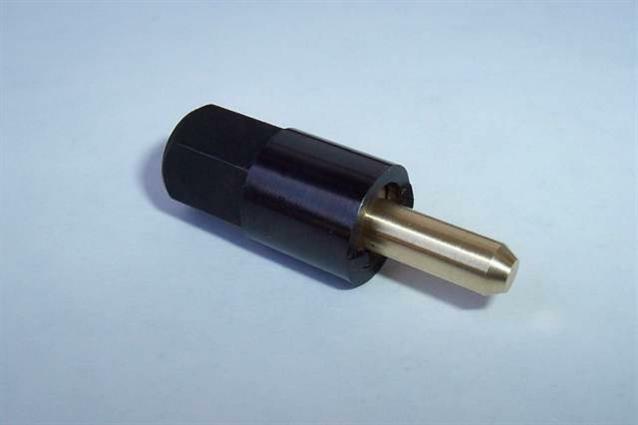 Smith & Wesson 422 622 2206 2214 Suppressor Adapter S.S.